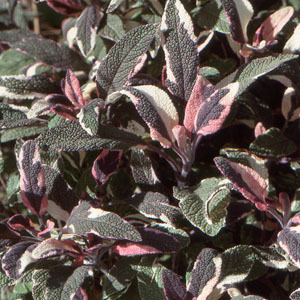 The leaves are variegated in shades of pink, green and white. The leaves have a mild sage flavor. Very ornamental culinary herb.